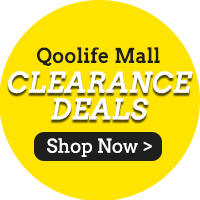 「Qoolife Mall」- [Topseller] CHEAPEST IN TOWN! Royal Umbrella - 10KG THAI FRAGRANT RICE! QUALITY RICE! Topseller[Topseller] CHEAPEST IN TOWN! Royal Umbrella - 10KG THAI FRAGRANT RICE! QUALITY RICE! Fast delivery, received in good condition. Fast and reliable! After cart coupon discount it came out to $27 per 10kg and plus free delivery. Very good buy! Received. Slow delivery. Waited for too long . Fast delivery. 2 time purchase. Order now can delivery before 5pm? Your order will take 2 working days. Wanted to order but now under QX quick $3.99 delivery fee...can this rice be back under Qprime coz i ordering other items from your shop & therefore will not be charged delivery fee. Currently QXQuick is the cheapest cost for rice's logistics fulfillment, hence we are unable to change the cost of it.